Little Willow: Hi everyone! Welcome to the roundtable book discussion of TELL ME A SECRET by Holly Cupala, this month's spotlighted title at readergirlz. We have with us today many fantastic book bloggers as well as readergirlz divas and members of the postergirlz lit advisory council. I’d like to thank everyone who is joining us today as a participant – and remind everyone who is reading this roundtable that you’re welcome to join us in September for our discussion of Maureen Johnson’s novel Suite Scarlett and the sequel, Scarlett Fever. If you’re interested, please leave a comment below. Thank you so much to everyone who took part in this. I really mean it. So glad to be included! Loved this book and very happy to celebrate it. And thanks for the kind PUNK ROCK shout-out! This was way too fun! Thank you for having me be part of the discussion! This was fun, fun, fun! Thank you, LW! rgz Newsflash: Run, Andrea Ross! August: Which Secrets Are the Most Terrifying? August: Would You Give a Second Chance? August: Have You Ever Felt Like an Outcast? Holly Cupala Shares Her Secrets! August: Do You Have Online Friends? August: Where Do You Turn in Times of Trouble? August: What's Your Creative Outlet? Chatting at Eve's Fan Garden! 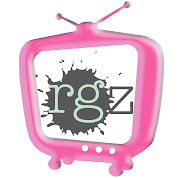 rgz NYC HOST: Calling all Creative readergirlz! August: Are You Wild or Quiet? August: Living in a Sibling's Shadow?